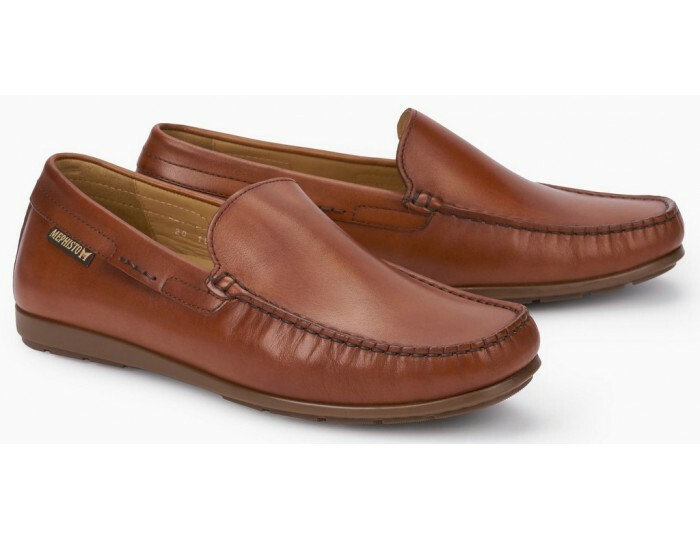 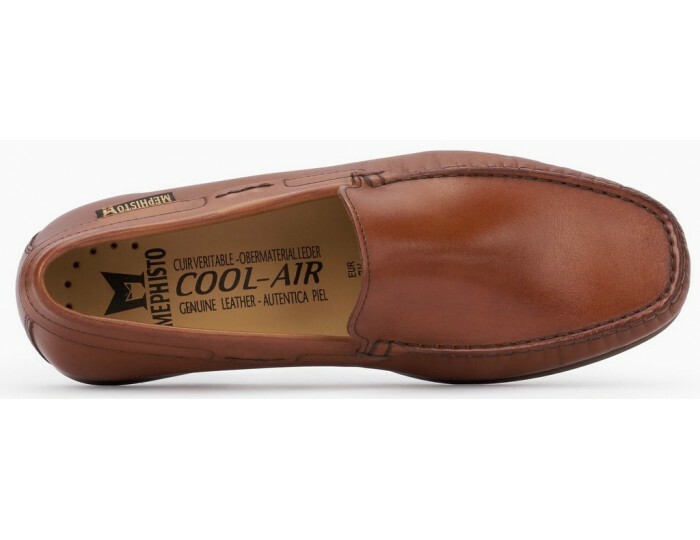 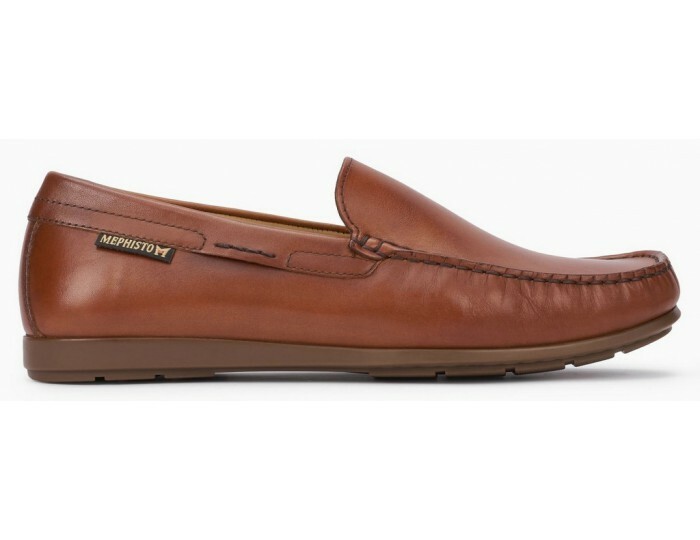 Comfortable MEPHISTO moccasin called ALGORAS for men with comfortable entry and optimal wearing comfort. 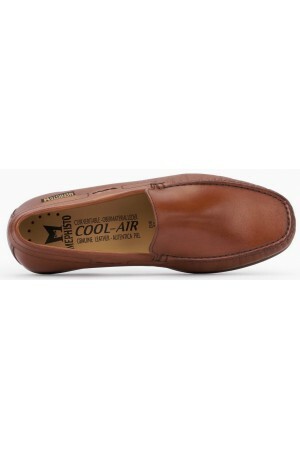 The removable, shock absorbing insole and the soft skin-friendly lining of leather provide optimum foot hygiene. 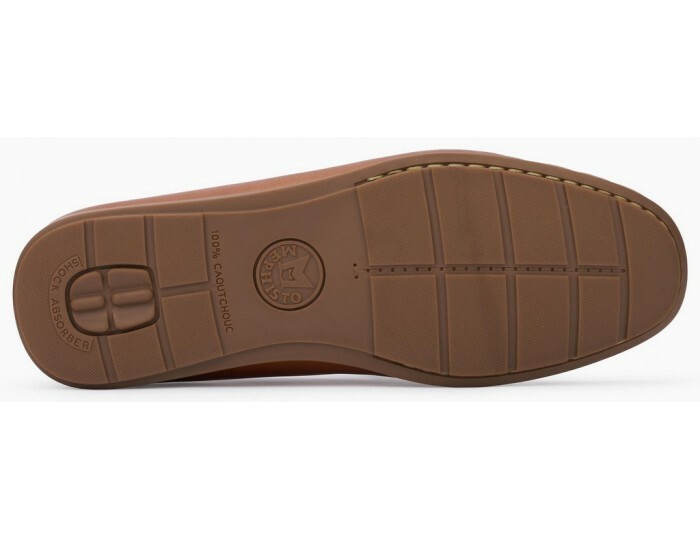 The integrated SOFT-AIR TECHNOLOGY guarantees smooth and effortless running. 100% natural rubber sole with integrated shock absorption for optimum damping of hard shocks.